A few weeks ago the tiny 3 were lucky enough to be sent a giant jigsaw puzzle from Ravensburger, which is honestly my favourite puzzle maker. 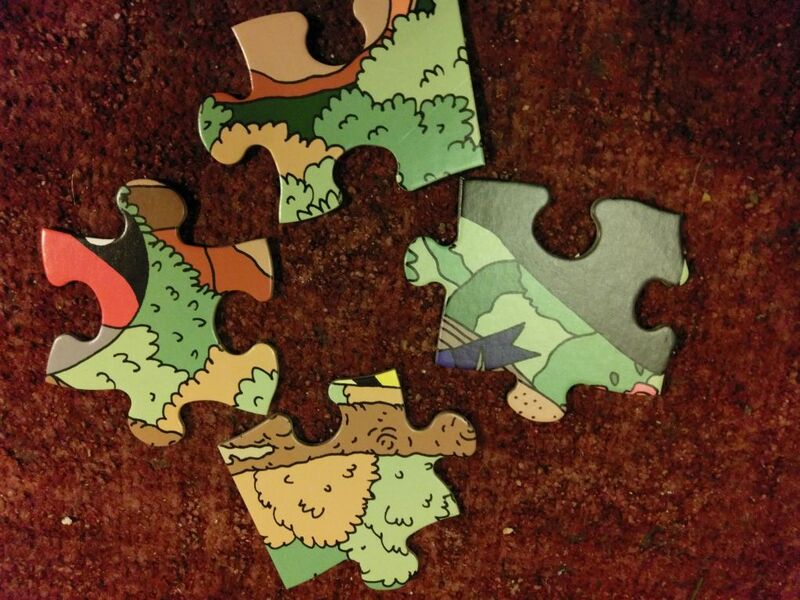 I knew from past experience exactly what to expect from the puzzle, great quality, and educational. 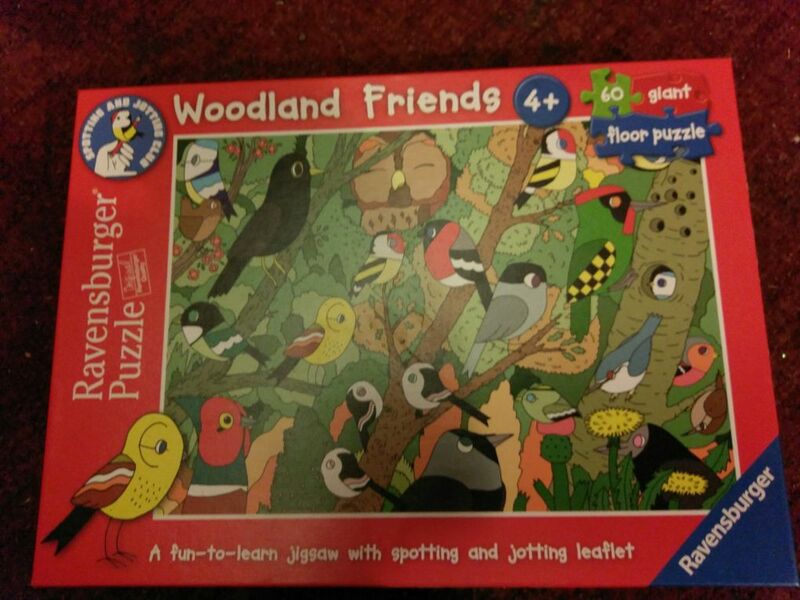 The woodland friends jigsaw is no exception aimed at children 4+ and consisting of just 60 pieces this is a brilliant puzzle for the younger members of your family. The pieces are large and very chunky which made it easy for TP who has low muscle tone and fine motor difficulties easy to complete on his own with little frustration. The completed size of this puzzle is 27×19 1/4 inches or 69x49cm so it is quite large and requires quite a lot of space. 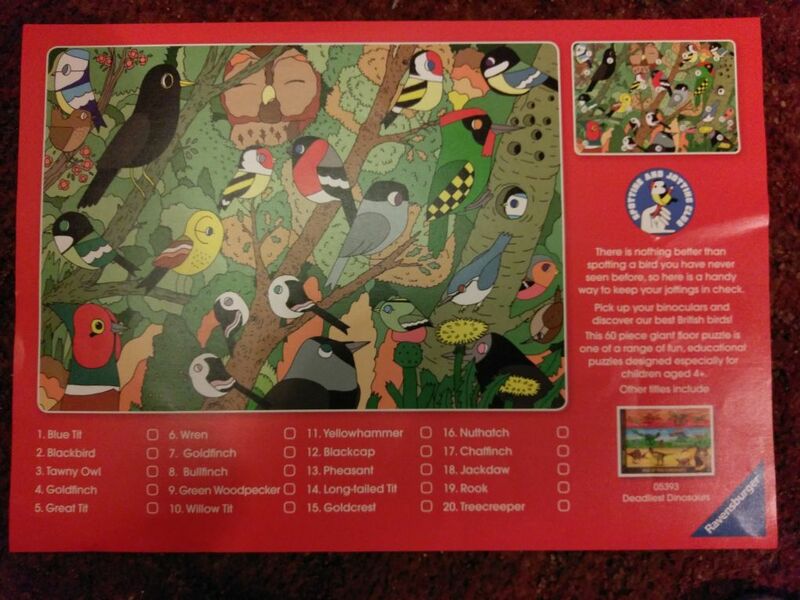 My favourite part of the puzzle is that it is covered in birds of all sorts of shapes and sizes, and it comes with a ‘spotting sheet’ which tells you what the birds are. After naming all the birds a few times and pointing them out to LA we made a game out of finding them by saying ‘can you find the…?’ which LA really enjoyed doing. Ravensburger Woodland Friends Giant Floor puzzle is available at all good retailers and would be a brilliant addition to the pile of presents under any child’s tree this Christmas. Also available is ‘Deadliest Dinosaurs’. Children will definitely enjoy their time solving this giant puzzle.One way to boost their knowledge!